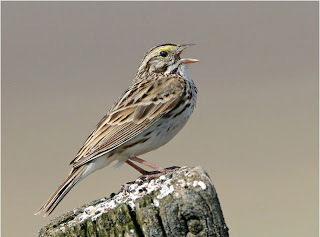 ...that Savannah Sparrows are named after the city of Savannah, GA and not the synonym for "grassland"? I figured that since they're most common in fields and meadows, they were named for that habitat. 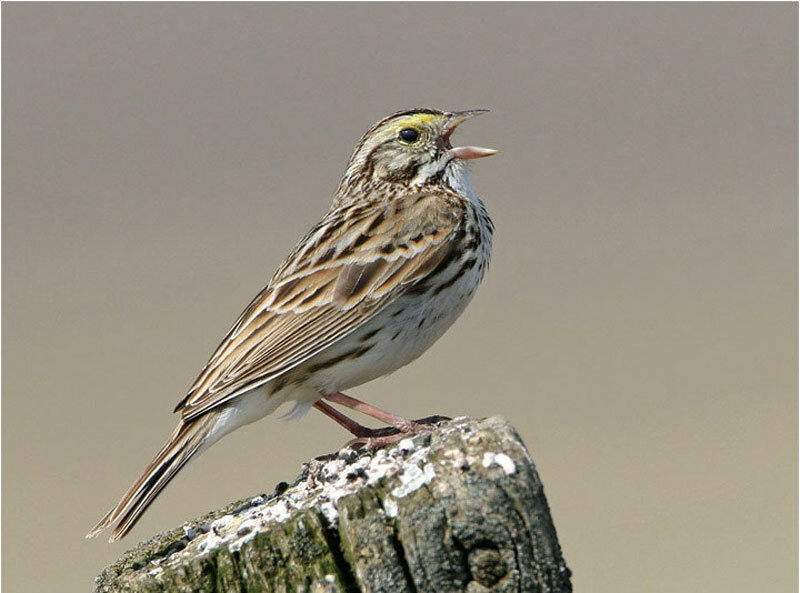 According to a little thing called "the dictionary" (I'd never heard of it either), both "savanna" and "savannah" are proper spellings of the landscape, but the sparrow was named because the first specimens were taken there by Alexander Wilson. Quick: Without cheating, there are four other North American species named after American cities. What be they? At the moment, I can think of Philadelphia Vireo, Baltimore Oriole, Nashville Warbler, and Cape May Warbler, though the latter just barely qualifies as a city.